Saving Quinton - Jessica Sorensen Nova Reed can't forget him-Quinton Carter, the boy with the honey-brown eyes who made her realize she deserved more than an empty life. His pain was so similar to her own. But Nova has been coming to terms with her past and healing, while Quinton is out there somewhere, sinking deeper. She's determined to find him and help him . . . before it's too late. I fell in love with the Nova series, the minute that I started reading and ended up devouring the complete series like I was starving for air and left for dead. It is truly THAT GOOD, people! Saving Quinton, is the sequel to Breaking Nova, and it follows Quinton Carter as he continues to spiral out of control and becomes deeper embroiled within the dark, seedy, drug trafficking underbelly of Las Vegas. Beautifully written, it is a harsh and gritty look at the how and what low self-worth and the allure of drugs to numb the pain can cause someone to come undone and almost lose themselves forever. Quinton has this way of breaking my heart into a million little ugly pieces and then puzzling them back together in some of the most uniquely painful and endearing ways possible. Completely wrecked with the grief and pain over the lives that he accidentally took and letting the guilt eat away at him until he's barely a shadow of the person he was before the accident claimed the lives of two people he cared about, he free falls deeper and deeper into the world of drugs in an attempt to snuff out the pain, run from what he isn't ready to face, and to eventually kill himself one way or another as a way of paying his own messed up complicated penance for those lives lost. Quinton's life is filled with so much heartache and personal tragedy, that the only decent thing in his life is the little ray of light that Nova brings to him. He's so convinced that he doesn't deserve her or anything good in his life, that he almost lets the darkness overtake him and dampen the best thing that could have possibly happened to him. Nova believes in him, will put her own depression and sadness in danger of overtaking her once again, just to help save him. This is the one thing that she is hell bent on doing, because she knows that there is so much more to Quinton than drugs and if she can pull herself out of the world that she almost got caught up in, then she can pull him out as well. Even though the lengths that she went to in order to help him, the danger that she readily placed herself in for Quinton, was messed up on many levels and nearly got herself hurt or could have possibly gotten herself killed - her tenacity and strength at finally succeeding in making him fully aware that he is worth it is what mattered the most in the end. Saving Quinton, is an incredibly emotionally intense and moving novel that will leave you breathless, and aching for more. It's not the most pretty story, in fact, it's dark, gritty, and pretty damn ugly most of the time but it's definitely worth it in the end. It will absolutely break your heart and then stick it back together with duct tape and twine, only to leave jagged and frayed edges behind. Not everything in life is easy and no one is exempt from the pain of harsh realities, life altering situations, and devastating losses. Jessica Sorensen, definitely knows how to pen a novel and a story so emotionally wrecking that it will stay with you long after you've finished reading it. Her characters are real, they are messy and complicated, and their lives aren't always filled with sunshine and easily happy-ever-afters. This, in my opinion, is the best thing about them. The ability to write such a poignant, realistic outlook on what the world of drugs and complicated romance between two people who are just as scarred as the other, doesn't always come easy. The fact that Jessica Sorensen could do it and pull it off so well with this series, is completely amazing! More than anything, I love how even in the darkness there is the flicker of hope always there, a spark that ignites the flame and rises so high that it almost bursts off the pages. These are the stories - the books - and the characters that I want to read about. Their self-worth wrung inside out, their hearts shattered almost beyond repair, yet the two of them fall together hard and finally collapse in each other's lives with arms wide open. I will read this story every single damn time. If you're looking for something with tumultuous emotion, intense feels, and a gritty look at complicated romance then this is the series that you'll want to pick up. I would definitely recommend this highly! Jessica Sorensen is an author that is forever on my auto-buy list. One of the most emotionally wrecking novels I have read in quite a while, I was transfixed by the story it told. Full of beautiful tragedy and overwhelming sadness, Breaking Nova, absolutely ripped my heart in two. Nova and Quinton left me aching in every possible way the two of them could. This is probably one of the most realistic and humanly gorgeous novel's I have read in quite some time. It was absolutely worth every tear, every single frustration I had, and every chewed up emotion that I experienced after being wrung out from such a compelling and wonderfully written intense book. Why have these books been missing from my life?! Jessica Sorensen has definitely cornered the market on writing some of the most realistic and human New Adult contemporary novels that I've ever read. Breaking Nova gives you a glimpse into the gritty, edgy, and dark world of violence and drugs. Both Nova and Quinton, who are suffering from their own personal tragedies that have taken over and consumed their world, coloring it black from the inside out, absolutely break my heart in the best possible ways. Struggling with their issues and drowning in their own hell, these two fall together and fall apart further than either of them ever intended. It's terrifying and incredibly saddening to watch as they continue to make one bad decision after another, breaking each other and themselves to pieces. It's the perfect struggle of guilt, intense overwhelming pain, hatred, and darkness overtaking these two characters. It plunges them into depths that neither of them really seem to care, because caring is to feel something and neither one of them wants that. Drugs are their way of turning off the world around them, numbing themselves the pain that sneaks in and threatens to overtake them, and it's ultimately their way of running away from their problems instead of facing them head on. It's Nova, who is pulled out of this sea of tempestuous agony by the revelation that life is what you make of it. You can make it hard and miserable or you can survive through the pain and live another day. Living in this world is hard and painful, but it is also strong and worth every bit of the fight that comes along with it. It's ultimately what saves her and she believes that she can save Quinton too, but not before she saves herself. From the first book in this series to the last book, Jessica Sorensen has captivated, wowed, and wrecked me in so many wonderfully painful and beautiful ways. The Nova series is definitely one of the best written, gritty, and realistic outlooks on what life is like when you're a druggie strung out, when you're so broken that you can't see your way out of the dark, and finally when you do reach out to take the helping hand offered to you. It's been quite a while, since I've immersed myself completely, wholly, and so emotionally into a series that has completely overtaken my days and nights because I simply didn't want to put it down. If you are looking for a complicated love story filled with tragedy, painful reminders of how good life was like before the pain settled in, and what life could be like if you let yourself open up and let go of what's eating you up inside - then this series is the one for you. If you're looking for perfectly happy-ever-after endings where everything is peaches and roses, nobody dies, and everybody gets what they want in the end without having to endure the scars of painful tragedy then this isn't the series for you. Whether you choose to pick this book up and read it, I'll leave that up to you. For me, I'd read it again every single time, in a heartbeat because easy, carefree, and always bubbly happy isn't always what life is about. Apparently the month of April was a Jenny Han month for me, because I had pretty much binged on most of her books. I ended up reading the whole Summer trilogy one right after the other, then read Fire with Fire, and finally received a gorgeous ARC ofTo All the Boys I've Loved Before in my mailbox right afterwards. To say that I loveJenny Han writing style and her ability to tell a story in such a realistic and relatable way, is probably an understatement. The truth is, that within the last few years I've been reading quite a bit more contemporary books than I normally would have considered before I started my book blog and I've actually been really enjoying them. To All the Boys I've Loved Before, was absolutely sweet, funny, charming, and definitely emotionally charged. I had an absolute fantastic time reading it and found that I didn't want to put it down until I was finished with it. The family dynamic was masterfully written and definitely managed to pull at my heart strings a bit. I loved how close the three sister's were, with their father and how they all interacted with one another. If something was happening with one of them, then it was happening with all of them. Each of them have wonderful appeal and different personalities that shined through the pages of this book in so many ways. Laura Jean, was beautifully fleshed out and such a wide-eyed optimistic hopeless romantic. I loved the fact that she sort of lived in her own little romance story and wrote all of these letter's to all the boys that she loved, but only kept them for herself as a way of letting them go when her heart felt like it was time for her to move on. It's not surprise that it was a complete mess when all of those letter's that had been written, had been accidentally mailed to all of those boys. The humor and wit that was conveyed this this story was balanced really well with Laura Jean having to deal with the consequences from the fall out of those letter's having gotten out when they were never really supposed to have been seen at all by anyone, let alone the boys they were written to. Seeing the way that Laura Jean handled the situation was refreshing, because she acted just as any panicky teenage girl would in this situation, and I enjoyed that Jenny Han had written her reactions and feelings in such a realistic way. Jenny Han has such a wonderful way of building up amazing dynamic in her books, as well as allowing her characters to grow and evolved realistically from beginning to end. It's one of the reasons that I enjoy picking up her books and delving into the stories she creates. It was so much fun reading about the two main crushes, Peter and Josh, because you never really knew which one was going to end up being the potential one to kick-start a real relationship off with Laura Jean. I know the one that I wanted her to be with, but I won't divulge that here, because I don't want to give too much away. Both of the guys were pretty amazing in their own ways. The romance part of this novel was so much fun, so if you're looking for an emotionally charged read that has some pretty good wit and humor peppered throughout it, then To All the Boys I've Loved Before will be right up your contemporary alley. Dissolve weaves an intriguing web of dark magical danger and intense destruction that will have readers hanging onto the edge of their seats with anticipation. In a daring search for the truth, which proves more questions than answers, Cora's life is spun upside down as a result of a tragic event. Andrea Heltsley pens a wonderfully beguiling world full of magical fascination and fairytales with a twist of originality and mystery. It's a fast paced story brimming with wonderful story concepts, dark amazing twists and turns, and unexpected endings. The adventure is exhilarating and highly engaging, full of action and super powers used to save the lives of many. As much as I personally enjoyed this book, I still left a little unsettled with overlooking a couple of drawbacks that it possessed. The details could have been a little more in depth than explored and the direction of the story a little less confusing. While the characters were mostly likable, very relatable, and easy to connect with a few of them seemed to just fall flat and it made it hard to wrap my head around them and the story they're telling a little bit. As with any book, there is always going to be one or two things that just sort of seem off-putting a bit, but that doesn't mean that it's not worth reading. The concept of the story was definitely original as is the plot and the twists and turns were full of intense danger and filled with the appropriate amount of fear and desperation in a sense. Andrea Heltsley has written a very different and definitely appealing and refreshing novel that I would definitely recommend to anyone who enjoys paranormal mystery and dark twisted fairytales. It held so much mystery and intrigue, enough to keep readers captivated as to who the real villian was and what was going to happen next. Those are marks of a great writer in general, being able to keep readers guessing and wondering what's to come. The Immortal Rules is a dark and thrilling dystopian full of danger, survival, and sinister creatures that are threatening to humans and vampires. It's a terrifying world where humans are treated as blood cattle and vampires reign victoriously over them. Forced to scavenge for food and whatever few necessities they can find, most unregistered's live in fear of being caught and killed. The post-apocalyptic world that Kagawa has set-up, is brimming with danger and betrayals, thrilling adventure and subtle forbidden romance, with a smattering of fanaticism applied. Readers will definitely find themselves on the edge of their seats craving more. The characters are fantastically developed, there's suspense and intrigue, intermingled with danger and turmoil lurking around every corner. Dark twists and turns are filled with crazy amounts of tension and terror, as they try and maneuver their way to safety. It is a world that is dark and gritty, definitely unlike any other dystopian novel in young adult fiction today. Kagawa certainly doesn't scrimp on tapping into a world of unpredictability and emotional pain, anger, and betrayal. She drives her plot home with an incredible force, hard enough to hit readers hard keeping them hooked until the end. Allie is such an amazingly kickass character, who is attacked and almost killed one night by the very thing she despises. She soon finds herself faced with the choice of having to die or become the very thing she hates - she chooses to become immortal because she wants to live. In order to survive, she has to learn what it takes to be immortal. As she struggles with accepting the fact that she is now a "monster", she still retains a great deal of her humanity never letting it go. This makes such a fantastic heroine with a bit of originality to her. She's incredibly determined, full of strength and resilience, and never forgets who and what she really is. Zeke is a wonderful match for Allie, almost as soon as he comes into play. He sort of balances out the darkness with light. Even though he's experienced more danger and heartache for most of his life, he still remains faithfully optimistic in a sense with a strong will to survive as much as Allie. He quickly trusts her, without really getting to know who she is, while she's busy trying to hide it from him. It may be a bit naive, but in a way he seems to keep her tethered to her humanity while she bears the brunt of keeping them protected as much as she possibly can with her strength. It's interesting to watch these two shoulder the pain, heartache, betrayal, and danger in the face of surviving long enough for them to get his group to the promised land called Eden. There are so many possible ways this story can go and yet, the cliffhanger is enough to leave readers screaming and begging for more. It's a paranormal dystopia array of danger, highly anticipated tension filled pages containing death, destruction, crazy action, and unpredictable twists and turns. This is a book that paranormal fans will absolutely not want to miss out on. It's bold, daring, dark, and gritty. It's an endless supply of awesome. Wake is a breath taking vividly imaginative magical tale of mystery and intrigue. The sweet serene world that Amanda Hocking creates, is delightful to explore filled with memorable characters who possess interesting quirks, sinister sirens who won't take no for an answer, and danger filled excitement. She has penned a wonderful blend of underwater mythology with just the right tinge of paranormal, weaving a beautiful balance of realistic contemporary issues between the two main characters. The plot is chalk full of intense drama and interesting situations that Gemma and Harper both find themselves in. There's wonderful romance and humor sprinkled throughout the novel that make it even more enjoyable and engaging. Amanda Hocking's wonderfully crafted world building skills are strong, stunning, and will keep readers entranced. She's mixed a beautiful captivating, suspenseful feel to her story by giving an imaginative enthralling nod to Greek mythology, introducing her own original spin giving it a modern edge. It's a world that's rich and dark, full of compelling mystery, and unimaginable secrets. The mysterious girls of summer are fearless, deceptive, and dangerous. Their beauty is the kind most envy, yet they harbor a darker seductive secret of their own that affects the lives of a few of the locals gone missing. They are predators of their own disguise, sirens, that have chosen Gemma to be part of their group whether she wants to or not. I enjoyed the atmosphere that Amanda Hocking crafted so beautifully, her sparkling descriptions reflecting Gemma's love of water. It made it easier to sink into the world and really enjoy it. Gemma is beautiful and carefree, so full of vibrant life, and tenderly falling in love with the boy next door. So full of sweet earnest vulnerability, she's such a delightful character to get to know. It was a joy to witness the honest relationship that she shares with her sister, Harper. Harper is more practical than her sister, wonderfully strong and independent caring a great deal about her family. She tackles the role of caretaker, putting them before herself and her own needs, and being incredibly unafraid to stand up for them and unyieldingly loyal. She's made sacrifices for their benefit more than her own and even though she has her moments, she really does have her family's best interests at heart. She wants the best for them and she will stop at nothing to keep them all together and from falling apart. Though it's slow building, it is sweet to watch her start living her life, letting herself have a summer romance with a handsome swoon worthy guy on the docks that usually annoys her, and trying to save her sister's life. Wake is full of breathless heart pounding action, mystery, and intrigue. It's intensely gripping and will keep readers on the edge of their cliffs, ending with a cliff-hanger that will have them screaming in anticipation for more. It's an epic adventure of love and survival, family loyalty, intermingled with a sprinkling of vibrant Greek mythology, and the ultimate choice of sacrifice. I would recommend this to anyone who is a fan of mythical under-water-adventures, dark compelling fantasy, and wonderful author's like Elizabeth Fama, Anna Banks, and Anne Greenwood Brown. 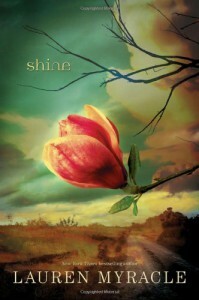 Glimmer is a deceptively cheerful novel, full of mystery, intrigue, and misplaced emotion in interesting situations. Phoebe Kitanidis pens an extraordinary tale of strangeness in an unsettling utopian fantasy, where heatnaps, vagueness of memory loss, magic, and haunted spirits can be found lurking around every corner. It possesses a unique Pleasantville quality, that does a wonderful job of displaying the strangeness of the town as well as the towns people's odd behavior. It isn't like any other ghost story told in young adult fiction, yet it is a mystery all its own that is very unpredictable in many twists and turns. The unraveling of the mystery behind Summer Falls and why the towns people react as they do, is sure to keep readers entertained and engaged. From the moment Marshall and Elyse wake up in bed together, confused without their memories and no idea how they ended up there, the mystery begins to unfold as they make a pact to work together to find the answers to their missing memories. They soon discover they'll have to rely on other's to help them figure out who they are, and why they can't remember anything. The closer they work together, the more they start to realize that their idyllic little resort town they call home, is a place where everyone seems mysteriously happy all of the time. Summer Falls has a darkness hidden just below the surface of the town's eerily perfect facade of happiness. The town seems to be haunted by malevolent spirits of the past, but the odd thing is that none of the town’s people seem to have any negative or bad memories to speak of. They don't seem to remember anything at all about the death of Marshall's mom, the deep hidden shame that shadows Elyse's family, or even the day to day normal anguish of high school drama that typically occurs. As Marshall and Elyse find themselves alone in a world of happy zombies, they slowly start gravitating to one another and soon develop an intense relationship. However, the dark and mysterious secrets they begin to uncover could potentially be the end of their budding romance. It could also mean the death of everyone, and everything, they love. Of course, there will be a few clashes of their personalities along the way, but eventually they will start to work together as equal members of a team. It's endearing to watch these two overcome the obstacles and unravel the mysteries behind the weirdness of their strange town, while having to deal with their own personal issues separately. Phoebe Kitanidis does a fantastic job of blending the perfect balance between contemporary with a twinge of paranormal mystery, to keep readers satisfied. Her characters are vibrant and fascinating, with many flavorful quirks given to them, including a host of supporting characters exhibiting strange behaviors and brilliantly weird mannerisms that make it even more interesting. Elyse is a wonderfully honest person with amazing integrity and a good natured spirit about her. She has good intentions for wanting to protect those she cares about as well as herself and a driven desire to be stronger. She's found a way to sort of beat the system, by keeping a journal of all of her bad memories with a note attached that says, "Please remember this, Elyse." She keeps it hidden in her locker at school, so no one will find it. Marshall was also a delightful character to get to know, with a hero-complex that wants to save the world or at the very least, the town’s people of Summer Falls. Throughout the novel he becomes very protective of Elyse as he starts to fall for her and tries to be the one to do everything he can. He wants to finish what his mother died trying to do, so he puts together a magical memory seal and a plan, then he and Elyse make a video on their phone to remember what they have done. The first time they do this, he makes a mistake and when it comes to light, it sort of causes a rift between him and Elyse. The second time, they're in it together until the end, no matter the consequences or what may occur. There's a welcomed camaraderie and bravery in the face of what these two might stand to lose if it doesn't go their way. Phoebe Kitanidis has crafted a wonderfully well written and thought out story, full of suspenseful plot and interesting characters that are engaging and delightful to get to know. It has a sickening sinister sweet appeal to it that will have readers trying to unravel the mystery as it progresses. There is a wonder in the unpredictability witnessed in the plot twists and turns, that makes it an even more delicious read. She writes her characters in an incredibly realistic way that makes them extremely relatable and easy to sympathize with. It's a fantastically riveting stand alone novel that breathes new life into young adult fiction. Glimmer is chalk full of daring surprises lurking around every corner, evil forces hidden just beneath the seams, and an intriguing magical tale of forgiveness and second chances, that will leave readers screaming for more. I would recommend this novel to anyone who enjoys deep twisted mysteries with just a hint of paranormal and daring plot twists sure to keep them on the edge of their seats. Unraveling is an incredibly thrilling and highly intelligent sci-fi young adult thriller, full of daring twists and turns, intriguing mysteries that will keep readers guessing at every turn, and an amazing cast of characters that only enhance the story being told. Think X-Files meets young adult, filled with mystifying parallel universes melding with the present and captivating intrigue. Norris fills her novel full of suspense and the right amounts of daring adventure, to keep readers engaged and on the edge of their seats throughout the whole story. She does a phenomenal job in creating realistic events, developing her characters with likable qualities, and keeping readers on their toes guessing. Unraveling is a novel that is completely unpredictable in every way imaginable. The action starts almost immediately, when Janelle is hit by a truck and then brought back to life by a mysterious new guy. Questions start flying and readers are soon off on a chase to find the answers, along with Janelle. She is a wonderful lead heroine, full of incredible strength, intelligence, and compassion. She's certainly not afraid to give as well as she gets and always manages to roll with the punches somehow. She's not without her issues though, having to do deal with a barely functioning mother who's been diagnosed as bi-polar, tasked with taking care of not only herself but her younger brother as well making sure he has whatever he needs, and discovering a countdown to something infinitely bigger than the world and with the power to cause devastating chaotic peril. Janelle is incredibly unselfish and knows when she needs help, which are admirable qualities about her that make it easy for readers to connect with her. She soon discovers that this mysterious guy who brought her back to life, Ben Michaels, and his friends may not be who they seem. Later on in the story, she realizes that she was right, they have a secret: they can possibly save the world from ending in chaos and destruction. There are two other major players in the story and they are Ben and Alex. Both guys have quite a bit of chemistry with Janelle and it's easy to see how she could be attracted to and care for them both. Alex seems to be the other half of Janelle, her childhood best friend that she's grown up with. He seems to be her voice of reason, albeit one that she doesn't necessarily always listens to. He's incredibly supportive and sweet, when it comes to protecting her at all costs and being there for her. Ben, on the other hand, is mysteriously intriguing, and swoon worthy handsome. While he comes across as stoner and slacker, there's definitely more to him below the surface. The closer that Janelle and Ben work together to save the world, the more she feels drawn to him and their connection starts to grow and develop into something more. She starts to let go and fall in love with him. Their chemistry is passionate and full of strength, yet it's just there almost suspended in a sense and leaving readers craving more. Unraveling possesses a super crazy unpredictable plot twists filled with action and the unraveling of mysteries and more questions leading up to the countdown that readers will never guess. Fans who enjoy mystery thrillers, filled with incredible intense action, a daring sense of suspense, and memorable characters that are well develop and easy to connect with, will definitely enjoy this novel. From the moment it starts, it never stops until readers reach the end, and then it leaves on a cliffhanger that will have them hanging on for more. Couple of things about this book; before I really get into my review. I found out about it sometime last summer through one of Maggie Stiefvater’s blog mediums, though which one escapes me at the minute. And after seeing the cover of it and how eerie it looked, was totally intrigued and knew right away that I’d want to read it. I don’t know about anyone else, but if you’re anything like me then the book covers definitely play a part in whether or not I’m drawn to the book or not. This is not always the case, but in some situations it is. Pretty cover usually equals pretty book for me, sometimes there’s the occasional dud but most of the time it’s pretty much a home run score. So, with that being said, on with my thoughts and review of the book. This book totally fills the criteria of a genre that I’m definitely no stranger to. I don’t know what it is about dark unseemly things that are meant to be ugly, distorted, and twisted that I find so fascinating and eerily beautiful, but I do and that’s what I am most usually drawn to disturbingly enough. This book and the story that Brenna Yovanoff had to tell, was no exception to that. One of the things that I enjoyed most about her writing style was the imagery and the attention to detail that she paid, in describing The House of Mayhem and the spooky town of Gentry and all of the people and ugly things that were sort of beautiful in their own grotesque way. So far, it’s a stand-alone novel and maybe it’s best if it stays that way. Things I enjoyed about the story itself being told were the main character Mackie and the fact that he wants to be nothing more than normal, which is quite the opposite of what he actually is. I also enjoy the fact that Emma, his sister, loves him for who he is and not necessarily what he is, and that Roswell comes across as a very understanding and supportive friend that he can count on. All I know, is he’s someone that I wouldn’t mind having in my corner. Thing is, Mackie is the furthest from normal that you can get. He’s not human, but it’s not exactly said what he is, except that he’s a replacement. His sister’s love for him, is what kept him alive this long given that he has allergies (shall we say) to blood, iron, and consecrated ground. He has to be very careful not to draw attention to himself, for when one draws attention bad things start to happen. Perhaps, bad things were already happening beneath their feet, to begin with. Giving something a name, means giving it meaning – acknowledging that it exists. It gives it power. The Lady, the Cutter, the Morrigan – they have names. They have power, albeit different types, but power just the same and you will see them exercise them throughout the story being told. One thing I enjoyed was the character of Carlina Carlyle who talks about what people have called them through the years and why she doesn’t actually say what they are specifically, just that they are. Like the little pink girl with the magic wand, I got the feeling that maybe she was supposed to represent the fae people but the book never really put a name to it and it was a new way of looking at the sort of the same story being told. The character's that come out of the House of Mayhem just may very well be some of the most colorful, unique, and favorite character's ever among many. From the Morrigan to the little pink girl, to the dead girls, and Carlina Carlyle it was all so interesting. The history and the mythology there, the fact that there was a whole world that lay beneath the town of Gentry in the Slag Heap. Strange how sometimes something so ugly can come across so beautiful in ways that you couldn't begin to imagine, something that takes on a life of their own. It's not exactly that these beings were evil and ugly; so much as they were just different and creepy and had their own agenda's and reasoning’s behind their actions. They were very well portrayed in everything they did or said. Nothing was without meaning. The only drawback for me as far as this book goes, was the pacing of the first half of it. For me, personally, it started off pretty slow and didn't seem to really pick up and gain momentum until about half way into the story itself. I can definitely say that there were a couple of instances where I got a bit frustrated and wanted to hurl it across the room. But, I’m really sort of glad that I didn’t, because I wanted to finish this book because I truly felt like it had potential and the back half of it just did not disappoint. The rich storytelling and the creative imagery that she wove into it, has made me enjoy this book in ways that I hadn't imagined I would. And I have no doubts that I will re-visit it at some point, later on. I found it interesting that I've seen other's pointing out the lack of action-oriented motives on behalf of the main character, Cassia, as a minor draw back for them regarding the book when the author intended for it to be more introspective and for the novel itself to focus on Cassia learning to make a choice. I've always believed that choosing not to choose, would be the worst possible mistake that anyone could make, and it only holds true when it comes to this character and the story she's telling. Cassia's world consists of The Society, which dictates how a person lives, what they eat, whom they're going to be matched with (their partner for life), their vocation, and even down to the day they are going to die. There are a so many choices that aren't even really available choices at all for these people and they're willing to go along with it, because to go against the society would be committing an infraction or worse being relegated to aberration status and/or shipped off to the outer provinces, for hard manual labor short of being worked to death with less leisure hours. 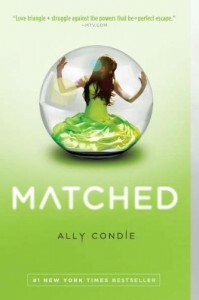 In a lot of ways, the girl in the pretty green dress inside the bubble on the cover of the book is what drew me to it. Like anyone else, I like pretty things and when I see them and they catch my eye, I have to pick them up and look at them. The bubble seemed to signify that she was trapped in some sort of world or dystopian society, where she wanted to break free but was taught at such a young age that going against conformity would ultimately lead to trouble farther down the road. 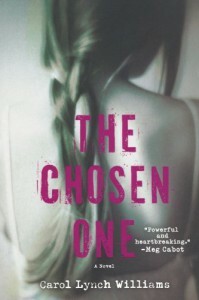 The book does a good job of illustrating that it's not just the decisions to go against the Society that Cassia makes in not only choosing but allowing herself to fall in love with Ky Markham when she had been matched to Xander (her lifelong best friend), but her grandfather's refusal to "not go gentle in the night" in an effort to assert some control over his own life, and the Markham's with regard to Ky towards the end of the book. It also illustrates the dangers of living in a virtual world of utopia, void of feelings and dulled down to contentment or being reduced to carrying pills, one of which aids in the calming of one's stress level and another that helps to trick one's mind to possibly "forget" something that has already happened. I, personally, wouldn't want to live in a world or society governed by rules like this and enforced by people in higher powers that had that much control over my life - numb to a lot of my own emotions or other experiences I could be enjoying. Again, there's not much action in this book, but there is the promise of a choice that's being made and a decision to be carried out. Everyday brings Cassia closer to that, she's standing on the precipice and she's weighing all of the options in her mind. For now, Ky seems to be the one thing that's driving her, but I feel that as we get further along in the series that at some point that will change and we'll start to see other reasoning’s come into play. Personally, I just really enjoyed this book and the prose was beautiful. One of my favorite things about it was the use of a Dylan Thomas poem, "Do Not Go Gentle Into That Good Night." In giving her those two poems tucked away inside the compact that belonged to Cassia's grandmother, her grandfather seemed to be saying, "It's okay to wonder." Questions are only human part of life and it's okay to ask them, whether or not it's been drilled into you all of your life from an early age that yours is not to ask, but to do as far as the Society is concerned. There's a will to fight locked into those words and I feel like if Cassia really listens closely to them, let's them sink deeply into the crawl spaces of her bones, that she will be able to dig down deep and find that urge to rise up and fight, to rebel in sort of a way as I expect her to in the next novel which looks just as promising as this one was. This book asked a handful of questions that needed to be asked and I'm hoping with the next novel, there are going to come answers and more of the back story that was alluded to. All in all, I really can't find fault with this book, as in it reads effortlessly and I found myself drawn in from the beginning and relating to Cassia in some ways and rooting for her, her grandfather, her father, Xander, and Ky in other ways. I definitely look for to the next novel and I can only give this one five out of five stars, because I wasn't disappointed in any aspect of this book and as I've said before, some of the drawback's for other readers just weren't there for me as I enjoyed it thoroughly and it is a book that I would re-read again and again, most especially in anticipation of the next book in this trilogy. I have to admit that I kind of wondered just how much of this book Hilary herself had written and whether I would like it or not. The flower on the cover was absolutely pretty and I love that the cover is black and purple, with just a splash of yellow to make it pop. It was definitely eye catching, that's for sure. The book itself, was pretty good. I found myself enjoying it more than I had thought I would. Although I groaned at the whole idea of "soulmates" once I came to that part, but found myself definitely drawn into the main character's dreams, and was curious and wanted to embark on this journey of finding out more about Sage and the different incarnations of Clea. I think my favorite one was Delia. Rayna, Clea's best friend and confidante through the entire novel, was a breath of fresh air and was not at all overbearing and was just genuinely fun to read. I wish that we could have seen her featured a little more than she was in the novel, but there's always the second one and more stories and incarnations of Clea to come hopefully. It was interesting to see the part that both her father and Ben played in this story, as well. And at the end of the novel, I found myself sympathizing with Ben and feeling frustration towards Clea in regards to him. In a number of ways, he was just as much a victim to his story being told as the rest of them were. His incarnations had absolutely nothing to do with the present man that he is. And I found myself swayed to his side in the whole ordeal. To see his confusion and pain swept to the side in favor of hers, helped to put a damper on my enjoyment of the book. I'm glad that there will be a second novel, because I fear that the ending of this one would have definitely affected my overall rating of the book itself. Like I said, I enjoyed the book for the most part, the character's and the story they had to tell was both engaging and very well written and dveloped, but the ending (having not known before hand that there would be a second novel) would have pretty much ruined my enjoyment of the book overall. So, with that being said, I'm choosing to give this book three stars instead of my normal four because I feel like it deserves that. Definitely give this book a chance, I will be waiting on pins and needles, anticipating the rest of the story. First I would like to thank both Gayle Forman and her publishers for the digital advanced copy of this book that I obtained through NetGalley. I was truly excited the moment that I received the little email notification in my inbox; I think I sort of scared the rest of the patrons in the library that day. I feel like I need to talk about If I Stay for a minute, because it was such an emotionally heartbreaking beautiful story that was told completely through Mia’s eyes. It was her world, her story that she had to tell. And with Where She Went, the hat sort of tips to Adam and we finally get to see “where he went” in all of this. It’s strange seeing the title Where She Went, when in my opinion, so much of the book was where he went, where Adam Wilde went when Mia left and how he found himself on a downward spiral slogging through his wasteland of heightened emotions and anger, grappling with the loss of her, falling out of love with the joy and electricity that his music once gave him, fighting with his band, dealing with being a famous rockstar and the obnoxious L.A. tabloids that he’s become fodder for. It was easy connecting with Adam and his pain, because I felt it with him. His despair, that aching emptiness that he felt; I felt it with him too and it hurt. It was easy to see how he had become so angry, a ball of frustration that was wound so tight he was about to snap. But amidst all of the sorrow and the pain, there was a tiny sliver of hope lying just below the surface. It was sort of a breath of fresh air, a breath of life. I love the beautiful job that Gayle Forman did, in the way she so eloquently wove the past and the present together, piecing them just so that you could see how Mia’s devastation and pain reflected in Adam’s own pool of sorrow. What’s so wonderful about both If I Stay and Where She Went is the fact that both of these books were written differently and could each be read as a standalone easily. But, if I were you, I would read them both honestly. 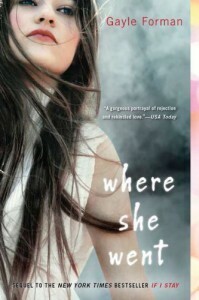 Start with Mia’s story in If I Stay and then finish with Adam’s in Where She Went. You will not be disappointed, I promise. I know this review is a lot shorter than most of mine, but I really feel like this book truly spoke for itself and that's why I had no problem giving four stars and just a simple review because it's a simple story beautifully told. 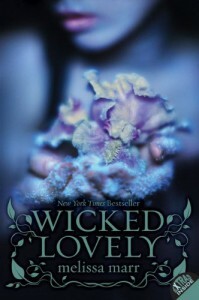 About a year and a half ago, I picked up a copy of Wicked Lovely because it was recommended by one of the girls who work at my local bookstore. She reads a lot of the same type of books that I like and enjoy and most of the time her recommendations are always pretty amazing. So, why wouldn't I trust her with this one, right? The cover of this book is absolutely beautiful, I love the girl with frozen fingers holding a pretty flower with ice crystals all over it. It seemed to signify the overall feel of what the book might encompass. The blueish-purple tint seemed to draw me in, so I took a chance on this not really knowing what I was getting myself into. 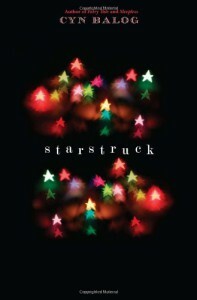 Even the font of on the cover, was pretty. I kind of like how there were what seemed like vines and leaves sort of coming off the words in the title and it was even that way on the spine. The extra's, were just an added bonus. Seriously, the playlist that was included was awesome and provided a new reading experience for me, along with the author's reading list, six intriguingly different facts about her that sort of gave you a glimpse into who she is (since this was her debut novel), and a couple of other things including a glimpse of the next book in the series, Ink Exchange. So, why then, did it take a year and a half to read this book? It's simple, really. 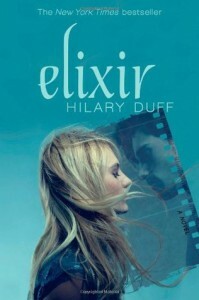 The pacing of this book was a bit slow for me and it stagnated in some parts, plus I found it hard to connect with the main character in the series, Aislynn. I liked her, don't get me wrong, but it just seemed hard to identify with her at times. Though, in the end, I was pleased with how she was strong enough to be able to save herself, knew exactly what she wanted, and made the decision that this is how it would be. Of course, the more that I read, I found myself becoming interested or drawn to other characters such as, Seth who was amazingly loyal and would risk anything for Aislynn, Donia who I sympathized with as far as her love and loyalty to Keenan goes, the Winter Queen who was that villian that you were supposed to hate and I ended up loving because she was so very well developed and written as far as her purpose for being there, and Niall Keenan's sort of advisor and sometimes confidante. The imagery and prose in which this book was written, introduced me to another world that was completely original and magnificently beautiful. For that, I can be grateful even if it was a hard book for me to get through. It wasn't until around the last 70+ pages or so, that I found myself fully immersed and finally absorbed into the story. I think, maybe I was afraid that it was going to be your basic cookie-cutter standard love story triangle where Aislynn would bow to Keenan and be at his side choosing him over Seth and both Seth and Donia would be literally and figuratively left out in the cold. I'm very pleased to see that the novel didn't turn out like that at all and that Aislynn, after searching herself and realizing exactly what she had to do (that there really wasn't any other choice for her), would end up making the best decision that would fuel a little hope for all of them in general. I didn't want to be team anything as far as this series goes, because I wanted to be able to enjoy all of the character's for whatever reasons or flaws they may have. But, I can't help but be inspired by and drawn to Donia, as I felt like she was the most realistic, relatable character in the book aside from Seth. I was truly able to feel with and for her, at the same time. Her sadness was my sadness, her burden was my own, and it was easy to see how she could arrive at the decisions she made. There were good things about this book definitely and of course, I would recommend it to anyone who enjoys fantasy stories involving faeries and otherworldly realms. I have to say that I did find myself enjoying the melding of the modern expectations and the clash of the ancient rules that seemed to be in constant conflict of one another a great deal. With that being said, there were also a couple of drawbacks when reading the book for me personally. What I am saying, is read it for yourself and figure out how you feel about it, where you stand as far as certain aspects and elements of the book goes for yourself. I certainly can't speak for anyone else, but at the end of the day when it's all said and done, I did enjoy the book. It just took me a really long time to get to that point. Much longer than I would have liked, honestly. So, for that reason I struggle with how to rate this book. There were more good qualities that I felt the book possessed than drawbacks and I did enjoy Melissa Marr's unique writing style, beautiful prose and imagery the book presented, so I can be okay with giving it a three star rating easily. I will be reading and reviewing the next book in the series, so obviously there is something about this world that has me intrigued to find out what happens next. "There's a day when you realize that you're not just a survivior, you're a warrior. You're tougher than anything life throws your way." *Brooke Davis; One Tree Hill I love books about how books change your life and books changed Kyra's life so much in this story told by Carol Lynch Williams. I can't remember exactly who's blog I discovered this book on, but I remember connecting very strongly with the premise of the story being told and it made me want to read it. Reading books has always been something that I've been incredibly passionate about. So, when I find an author who has given the main character of their story so much purpose and so much strength gained through finding and discovering and reading books, even though they are forbidden to them and daring to be their own individual despite the obstacles or challenges that stand in their way, I devour it every single time. Unfortunately for me, neither one of my local libraries had a physical copy of this book, so I had to make do with an audio version. It wasn't so bad and I actually finished it quicker than I thought I would, so I may have to re-think my whole take on audio books in general. Kyra is such an amazingly brave girl from the moment she's first introduced. She risks so much and has to give up even more in order to gain her freedom and the right to be her own individual who makes the choices that she wants for her life, instead of falling in line and conforming to their (her family's) beliefs and practices. She decides early on that she wants to choose the boy that she's going to spend the rest of her life with, rather than be promised to some old geezer (who's her uncle to begin with anyway) like chattle. She also sort of discovers who she is and other unbidden desires, through the Mobile Library on Wheels, as she makes friends with Patrick the man who brings the books to her once a week as he's passing through on his route. Through Kyra's eyes we are able to see a world in which, young girls are forced to marry older men that many of them may not want to marry, in order to keep the population from dying out and to ensure that they all get to Heaven and follow in accordance with the Prophet's revelation. We also see what happens when they don't comply in accorandce with those beliefs, such as the beating that Kyra sustained at the hands of Hyram - her father's brother. Not to mention the abusive punishment of a child no older than a year or so. This is easily a book that is felt with, rather than just read. It will stay with you, the images created by the author to make the reader aware as to how dangerous and serious this truly is. It is truly an act of bravery on Kyra's part, in choosing to leave everything behind, her family and all of the beliefs that were instilled or forced upon, in a desperate attempt to get out of that abusive situation and flee the first time with Patrick and the second time, on her own knowing she may never get the chance to see anyone in her family again. As an avid reader, is a delicous treat when a book tells me the story of a brave young girl who was able to fight her way to freedom, because she chose to do something that was so forbidden it would have gotten her beaten - something as simple as daring to read a book. This is the type of story that makes me want to pick up another book and read as much as I can devour. I was excited and eager to read this book, when I found out about it. The synopsis intrigued me and I was hoping that the book would shine a little more background knowledge on the Illuminati, which is the cult-like group that uses astrology to better themselves materialistically. They're able to absorb the energy from the stars and somehow manipulate the elements and other's to see what they're projecting. Gwendolyn "Dough" can be a very likable and relatable character in some respects. I like that she can be witty and have a dark sense of humor, sometimes. But, in all honesty, I did sort of find that her constant complaints about her weight issue, her comparison of herself to her younger Evie, the fact that she seemed to take a lot of verbal abuse and sometimes physical from others, and constant worry over whether or not Wish would break up with her when she see's just how much she's changed in the last four years to be quite stressing and frustrating at times. At one point, I just wanted to shake her and tell her to snap out of it. If you don't like the way you look, then do something about it instead of sticking another donut in your mouth and proceeding to complain some more. Although the book read pretty quickly, it was still about half way into the novel that it gets into the reason Wish has "morphed into a blond god" as Gwen would put it. As far as the romance goes, I found myself half wishing that the author would have explored a possible tentative relationship between Christian and Gwen, as I feel they were better suited for each other. I don't know, I just felt like the whole Gwen and Wish relationship was way too cookie-cutter for me. It was almost as if it were a little "too happily" ever after or something. I'm not normally a fan of love triangles, but I feel like this would have been a fantastic one and the novel gave it the perfect set-up towards the end, but that's all I'll say to that as I'm hoping there's possibly going to be a sequel. One thing I did enjoy quite a bit, was the fact that after Wish had seen the changes in Gwen, he still cared about her as he did four years ago when they were twelve years old. It was refreshing to see a novel where the heroine is average borderline obese and she's still liked for who she is by both guys who seem to care quite a bit about her. If I had to pick a favorite character, it would definitely be Christian. I can't help it, I have quite a thing for the mysterious types with a troubled past, and he was definitely not a disappointment. Aside from Christian being my favorite thing about it, I loved the realness of this novel and I would encourage anyone to read it, if you enjoy reading novels about people who aren't afraid to be who they are and are true to themselves. This was not a bad novel by any means, despite the few drawbacks that I felt it possessed while reading it. Actually, it was really good in how it set-up the character's and developed the mystery that Christian helped Gwen to solve, stemming around her boyfriend Wish. I will have to say that I did sort of feel as if the back half of it was a tad bit rushed, but still it read really well and I enjoyed it quite a bit. So, I have no problem giving it three stars.